The eighth annual “V&E Artwalk” will raise money and awareness for the V&E Greenline community-owned trail, which travels through the heart of Midtown Memphis and the Vollintine Evergreen Community. The event will feature the work of more than 70 artists from all over the Greater Memphis area. The Artwalk is the largest annual event in the Vollintine Evergreen neighborhood, but also attracts visitors from around the Mid South. 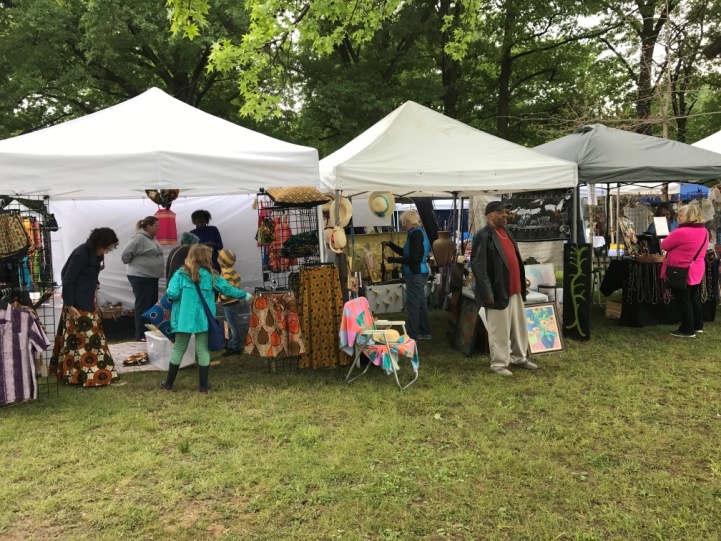 The event not only raise awareness about sustaining the V&E Greenline as an important Memphis and neighborhood asset, but also provides an outlet for local artists to gain exposure and highlights the thriving art community which exists here in the Memphis area. Award-winning art from neighborhood elementary and middle school students will be on display. The Memphis Metal Museum will be onsite working with guests on a metal-working project. A children's area will include creative activities and bounce houses. We will feature live music from local artists throughout the day. Several types of craft beer from a Memphis micro brewery, along with a variety of wines will be available. The food will include grilled sausages, burgers, award-winning Memphis BBQ, delicious side items, walking tacos, and plenty of vegetarian / vegan options. All proceeds from the event will go to the V&E Greenline to keep the trail attractive and useful for all to enjoy. The V&E Artwalk is being held on Saturday April 13 (rain date of April 14) from 11:00 to 6:00 at 1625 Tutwiler Ave. Set up is from 9:00 AM to 11:00 AM, during which you should park on Tutwiler Ave between Avalon and Dickinison. Alternately, you may pull into the alley, which you can access from Avalon between Tutwiler and Faxon. To avoid congestion, please unload from the alley within 10 minutes. Volunteers will be on site to help you unload and set up. Silent Auction pieces can be brought the day of the event. Once the Artwalk gets closer, we will be assigning sites and will let you know more about the check-in process. If you have any questions, please contact us by email at veartwalk@gmail.com. Sponsors are indispensable to the Artwalk. Booth fees, along with beverage and food sales, account for a portion of the expenses of the Artwalk. However, sponsors make it possible to pay the many additional expenses of putting on the event. Proceeds from the Artwalk will go into the Emergency Fund for unexpected disasters such as major damage to infrastructure. Keeping the V&E Greenline attractive and useful for all to enjoy is a way to pay back the hundreds of hours Artwalk volunteers spend in planning and putting on the event. We couldn’t do this event without the scores of volunteers who help out. If you would like to help out this year, please contact our volunteer coordinator Joshua First at joshuafirst@gmail.com. All volunteers will receive a free V&E Artwalk t-shirt!